Local Vancouver-based artist, Valerie Thai of Cabin + Cub comes up with the sweetest wall art. And we especially like her woodburned ones. 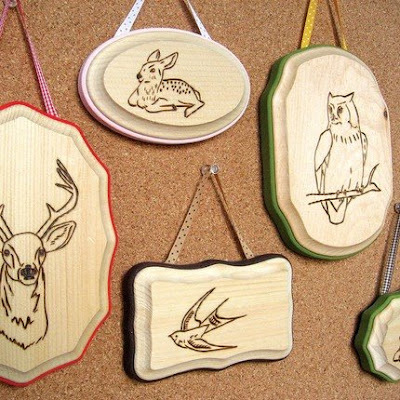 Now she’s burning onto these trophy-style wood plaques with her signature woodland animals. They come in two sizes. $20 for small and $30 for medium.